To slow the national epidemic of Type 2 diabetes and childhood obesity, cities across America have begun imposing pennies-per-ounce levies on artificially sweetened beverages. These newly instituted soda taxes have been demonstrably effective at reducing consumption and raising revenue. They are also deeply divisive. In Philadelphia, it has torn public opinion in half. In October of 2016, after a long, bruising fight, Philadelphia Mayor Jim Kenney succeeded in convincing the City Council to pass the Philadelphia Beverage Tax (PBT), a l.5 cent per ounce tax on the more than 3,000 different sweetened beverages sold in the City of Brotherly Love. In doing so, Philadelphia became the fifth city in the United States to tax sweetened beverages with the stated goals of diminishing consumption, encouraging healthier alternatives, and raising revenue to invest in the city’s poverty-stricken neighborhoods which are disproportionately impacted by the negative health consequences of using these products as directed. Including Philly, there are seven municipalities in the US with sweetened beverage taxes in place (eight counting the Navajo Nation, which passed the Healthy Dine Nation Act, aka “the junk food tax”). The others being Berkeley, Oakland, San Francisco, and Albany, Calif.; Boulder, Colo., and Seattle, Wash.
More recently, the United Kingdom, following the lead of Mexico, instituted a nationwide sweetened beverage tax with Ireland and South Africa due to follow suit shortly. Suffice it to say that Big Soda—the consortium of sweetened beverage manufacturers, bottlers, distributors and retailers—is not happy. Kenney succeeded where his predecessor had failed twice, steamrolled by Big Soda’s bare-knuckles lobbying tactics in 2010 and again in 2011, which included $9.3 million in spending — outgunning the pro-soda tax side almost four to one. Instead of emphasizing the health benefits and being tarred a nanny-state scold by naysayers, Kenney specified that all soda tax revenue would be used to underwrite 6,500 pre-K seats annually and renovate the city’s run-down playgrounds and dog-eared recreation centers. But while City Hall is touting the program’s gains, Big Soda is sounding the alarm. The tax is even more ruinous than originally feared, it says. 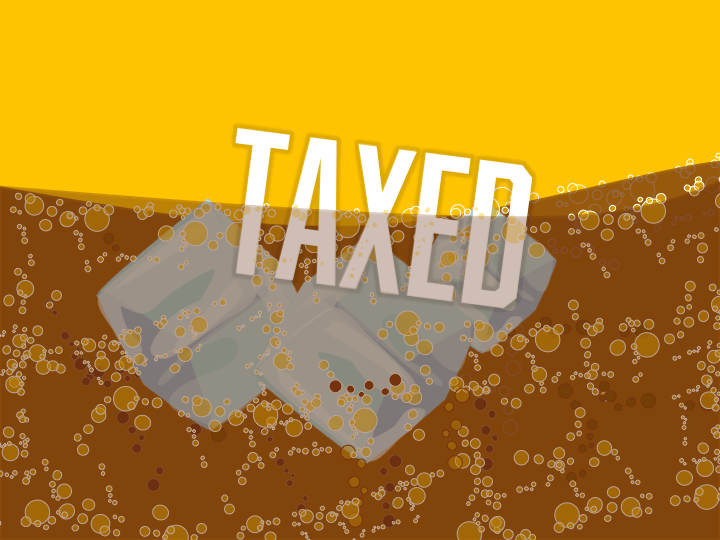 Last fall, Ax the Bev Tax, the Philly campaign to repeal the PBT, which was coordinated and bankrolled by the American Beverage Association, released an economic impact study it commissioned from Oxford Economics. The study found an 8 percent drop in grocery store sales, a mass exodus of shoppers to the tax-free suburbs and the loss of some 1,200 jobs soda-related jobs. “The city has a problem in that there aren’t enough family-sustaining jobs for blue collar workers without a college degree,” says Anthony Campisi, spokesperson for Ax The Bev Tax campaign. “Your average supermarkets employ up to 300 people each. The bottling plants are good manufacturing jobs, the teamsters are a particularly good example because they have pensions, health benefits, make a livable wage of $50K up, and the mayor took an axe to those jobs and doesn’t even have the decency to acknowledge their loss,” said Campisi. The city countered with a Harvard/Penn/Johns Hopkins study, commissioned by former New York City Mayor Michael Bloomberg’s Bloomberg Philanthropies, which has spent millions promoting sweetened beverage taxes across the nation. That analysis found that while overall sweetened beverage consumption dropped 57 percent, the negative economic impact touted by the Oxford Economics study has been vastly overstated, and overall sales at chain retailers have not dropped as a result of the beverage tax. A Drexel University study found that bottled water sales are up 58 percent since the tax went into effect. But a St. Joseph’s University report commissioned by the ABA found that total sales at Philadelphia grocery stores dropped by more than $300,000 on average, confusing the issue further. Polling data on public opinion about the PBT in Philadelphia is just as contradictory and self-negating. A recent poll commissioned by the ABA says 60 percent of Philadelphians are against the soda tax. That conflicts with an April 2016 poll by The Philadelphia Citizen and Temple University that found 59 percent approved of it. An informal survey of sweetened beverage buyers conducted on a 90 degree day in early May at a Wawa in South Philadelphia suggests public opinion remains split right down the middle. Michael Gedraitis, age 12, is firmly opposed to the PBT. “I don’t like it, because I have to pay more,” he says. Joshua Prichard, 30, says the tax has had no real impact on his buying habits one way or the other. “I’m fine with it as long as it goes to a good cause,” he says, although he is unsure what the tax money is being spent on. In truth, the impact of Philadelphia’s sugary beverage tax is not an either/or proposition. It is a tale of two cities. Students at Pre-K schools like Pee Wee Prep in deep West Philadelphia are thriving. “We hope the program lasts forever,” says Stacy Gill-Phillips, PhD., Pee Wee Prep’s CEO. Gill-Phillips grew up a few blocks from the school’s current location. In 1990, she left her job as a senior analyst for Dunn & Bradstreet to start a family. She quickly realized that the demand for quality pre-K child care far outstripped the supply and decided to start her own pre-school. Gill-Phillips began with 15 students. Three months later there were 75. Needing more space, she moved Pee Wee Prep from her home to the basement of her church and eventually bought the building at 251 N. 56th street that currently houses the facility. Pre-K childcare is not cheap. Annual tuition at Pee Wee Prep is upwards of $8,500. While there are federal subsidies for working families that can’t afford the cost of pre-K, many children fall through the cracks. “Families can apply for federal subsidies, but in order to qualify parents have to be either working or going to school,” says Gill-Phillips. Revenues raised by Philadelphia Beverage Tax underwrite the cost of tuition for 90 students to attend Pee Wee Prep who otherwise couldn’t afford it. Sunshine Grocery is located under the elevated Blue Line tracks at 60th and Market Street, within spitting distance of the city line. When Mustafa opened his store in 2016, his main competition was a newly opened Fresh Grocer supermarket in next-door Delaware County. Sunshine Grocery and Fresh Grocer share many of the same suppliers. “All of my delivery guys told me the same thing: that in 2016 Fresh Grocer was dead in the water but in 2017 when the soda tax went into effect, suddenly the parking lot was full day and night,” he said. In the 1980s, sugary drink serving sizes ballooned from large to gargantuan, as did Big Soda’s marketing budgets. “We started seeing this big jump in diabetes about five to ten years after portions were supersized and soda companies began to aggressive marketing of these drinks and that’s about the right lag time for causing diabetes,” says Dr. Tom Frieden, MD, who was director of the Centers for Disease Control and Prevention during the Obama administration and Commissioner of the New York City Department of Health and Mental Hygiene during the Bloomberg administration. The current body of scientific opinion holds that sweetened beverages are not the sole cause of America’s exploding diabetes epidemic—but they are a primary source, and one of the easiest to eliminate, which is why they have become such an important public policy issue. But a study funded by the National Institute of Health predicts that Mexico’s 10 percent excise tax on sweetened beverages will prevent 189,300 new cases of Type 2 diabetes, 20,400 strokes and heart attacks, and 18,900 deaths among adults 35 to 94 years old, resulting in a projected savings of $983 million in health care costs. Back in Philadelphia, the PBT isn’t out of the woods. In year one of the tax, collections have consistently come in just short of projections, creating a $13 million shortfall and forcing Mayor Kenney to scale back the ambitions of his pre-K funding scheme by 1,500 seats. A state lawmaker plans to introduce legislation that would make it illegal for cities in the Keystone State to levy such taxes. Lastly, there is a lawsuit filed by the ABA asserting that the PBT represents an illegal double taxation since sweetened beverages are already subject to a state sales tax. The lower courts have twice struck it down, but the ABA is not giving up. The Pennsylvania Supreme Court heard oral arguments last month and a decision could be rendered in a matter of days or weeks. Should the Supreme Court decide in favor of the ABA, the PBT, along with shiny new playgrounds and recreation centers in Philadelphia’s most depleted neighborhoods and 5,000 pre-K seats annually will disappear, says Mayor Kenney.